Our feet are the foundation of entire body. when this foundation is misaligned or functions poorly. its effect can be translated throughout body. Common problems of foot which may occurs due to malalingmant or may get aggravated can range form plantar, fascitis repetitive strain, mortons neuroma metatarsalgia etc. Foot annex is a specialized physiotherapy foot clinic where professionals specialist in foot (musculoskeletal) problem perform comprehensive in-depth examination of lower limbs mobility strength of foot, ankles knees and hips with myokinetic chains of lower limb and spine. To correct the lower limb or foot misalignment and to obtain neutral movement, digital examination, customised insoles, physiotherapy soft tissue manipulation laser acoustic waves dryneedling Joint mobilization and other evidence based scientific protocols are followed. 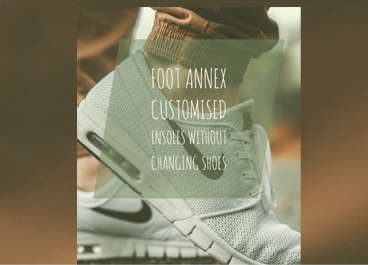 Aligned feet and ankles effect over all efficiency and shock absorption ability our insoles, provide customized comfort your gym shoes with foot wear that match contour of your feet and extra support to acid in the absorption of your fitness regimes making exercise more pleasurable. During cycling your feet pedal 80-100 revolution per minute. Unsupported arches collapsed in each stroke decreases power. Transfer and efficiency. Hip and Knees turn inward causing performance back pain . 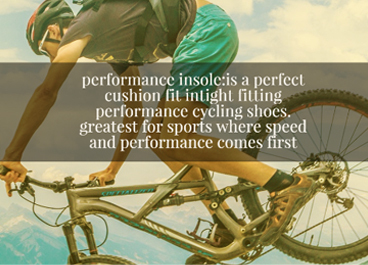 and premature wearing of joint .foot balance insoles help your feet in proper alignment to help you improve power transfer and efficiency. Misalignment of feet forces knee and hip outwards this interferes with your contact with the course and put pelvis it close position prematurely in from rotation freely during swing. Body loading causes unnecessarily repetitive strain, this can lead to pain, soft tissue damage and premature wear the knee. 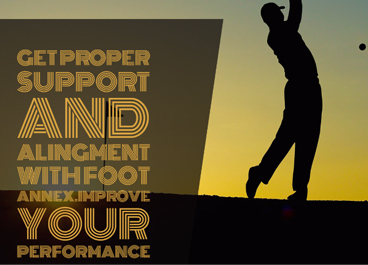 Donot let poor alignment and avoidable repetitive stress injury spoil your round . Whether you’re a walker, a runner or just trying to get from A to B, any foot pain can make life difficult. There are a number of contributing factors which can cause discomfort and pain in the foot. Foot pain can be caused by genetically inherited conditions such as a mechanical imbalance in the foot, or developed from an injury or inappropriate foot wear. The foot is comprised of 26 bones and is supported by ligaments, muscle and plantar fascia. Foot pain is a common problem and there are a wide range of possible causes. If you require foot or ankle injury treatment, our comprehensive foot and ankle program focuses on restoring range of motion, strength and function. We treat all injuries related to the lower extremity, whether you’ve been diagnosed with plantar fasciitis, suffer from an ankle sprain or fracture, or need post-operative care. Your foot rehab or ankle rehab begins with a comprehensive evaluation of your functional limitations. Our team of expert physio therapists will then design a treatment plan based on your individual needs and goals, which may include stretching and strengthening exercises, proprioceptive balance and gait training. 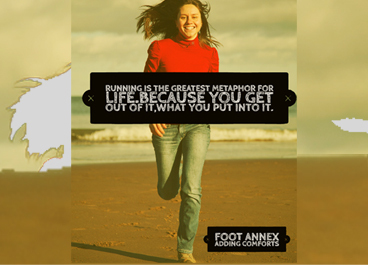 Our therapists are also trained in biomechanical analysis and designing custom orthotics. Throughout your foot injury rehabilitation or ankle injury rehabilitation, we work hard to help you return to all your normal functional activities. When you are ready for discharge, you will be given a personalized home exercise program to allow your foot or ankle to stay healthy, further enhance your rehabilitation outcome and prevent the possibility of future foot or ankle re-injury. Commonly treated musculoskeletal conditions related to foot and ankle at perfecto physios are as follows. Achilles’ tendonitis, calcaneal spur arthritis, metatarsalgia, midfoot pain, Morton’s neuroma, muscle strains, peroneal tendonitis, plantar fasciitis, post immobilization stiffness, sprains, tibialis posterior tendonitis.